The 'Big Six' energy firm SSE has announced a significant rise of 27.5% in retail profits, seeing its operating profits soar to £410m. The energy provider announced the latest figures as part of a financial report under the sub-heading of " Retail: Earning the right to make a profit." As with a number of its fellow energy providers, SSE cited the pro-longed cold weather this year as a significant factor in the increased UK gas consumption, up 21% among the firm's customers. The firm also pointed out a five per cent increase in the use of electricity over the course of the year. In total, the company announced pre-tax profits of more than £1.4bn for the 12 months up until March of this year - a rise of 5.6% on last year. 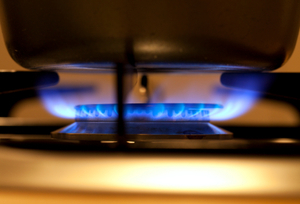 The figures are sure to cause a stir amongst some of SSE's customers as only last month the firm was given a record £10.5m fine by energy regulator Ofgem over the issue of mis-selling. Last year, the firm also hit a number of its 9.6m customers with a nine per cent price hike. Commenting on the profit announcement by SSE, Elizabeth Ziga, of the Fuel Poverty Action group, said: "While SSE customers were skipping meals to keep the heating on, the company continued to rake in bumper profits. "To end this chilling profiteering, we have to break the Big Six's grip over our energy." As part of the Government's Green Deal, SSE is able to offer its customers the equivalent of a loan on energy efficiency products, payable via their energy bills. By fitting new energy-efficient products such as a replacement boiler, loft and wall insulation, it is hoped customers will be able to cut down their bills while paying for the measures taken with the money saved.